One of my favorite pastimes is going to visit churches to see what their youth ministries are doing. If you haven’t done that, you should. It’s a great way to learn what others are doing and stay up-to-date with your skills. One of the reasons it’s so helpful is that you don’t have any responsibilities. You’re just there to observe. 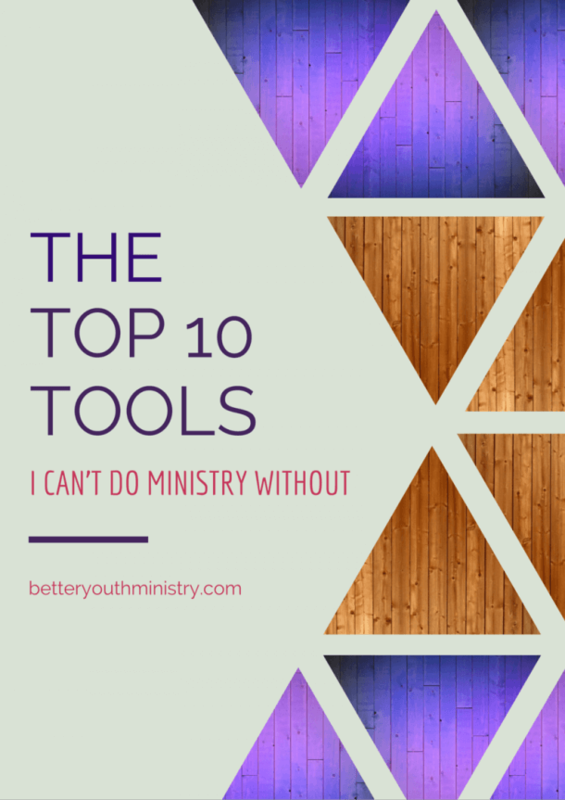 In your own ministry, you’re the person who plans and executes most of the stuff. When you visit another ministry, however, you just get to watch what happens and take it all in. In that position, you can see things that (1) you want to emulate and (2) you want to avoid. Before we get too far along in this post, I feel like I might need to clarify what I mean by the term “hosting.” Hosting is basically everything that happens from the time your program or service starts until the time the worship leader takes over. 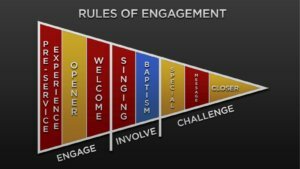 The Host, therefore, is the person (or people) on the stage who welcomes the attenders, explains what will happen during the next hour or so, and makes a steady handoff to the worship leader who begins the next portion of the program or service. In this template, hosting fits in the “Welcome” slot. Now that we’re on the same page, let’s keep moving along. A recent visit took me to a ministry that meets on Sunday nights and has around 80 students who regularly attend. The problem is that they’ve been stuck at 80 students for the last year. What I witnessed while I was there left much to be desired. In fact, I would say that if they could fix the problems that I saw, they would start attracting more students in the next three months. Let’s dive into the play-by-play, shall we? For starters, the youth room had two big screens that weren’t used to their potential. Instead of running a pre-service slideshow, they only displayed the ministry logo the whole time. A few kids played on video game consoles, but the countdown timer began before they could finish their game of FIFA Soccer. They weren’t thrilled about that. When the clock reached zero, the youth pastor was standing on the stage. “What’s up guys?” he asked. A few students cheered, others groaned. Still, others didn’t even look up from their phones. That’s a bad move to start your program. It engaged no one. It inspired no one. It intrigued no one. If the youth pastor was going to go that route, he could’ve at least shown a video from last year’s summer camp to show them why they didn’t want to miss out. Predictably, the youth pastor chose two of them. Then someone asked out loud, “What about a girl?” The youth pastor took the hint and chose a girl to play. “Tonight’s game is the impossible shot,” he announced. He gave each contestant one beanbag, and told them their objective: throw the beanbag through the hole in the Corn Hole board that was 30 feet away from the stage. The first contestant threw and missed. The second contestant threw and missed. The third contestant threw and missed. It had only been about four minutes since the countdown timer had ended, but the students were fading fast. Half of them didn’t even pay attention to the game at all. With that, the youth pastor called the band to come onto the stage and there was an awkward silence that lasted for 20 seconds while the band got into place. That’s how I would describe the rest of the program. The band played four songs. That’s too many, in my opinion. They youth pastor came back up and talked for thirty-five minutes. That’s too long, in my opinion. Now that you have an idea of what happened, let’s dig into some analysis. As I stated in a previous post about how you should start your large program, it’s a mistake to use a countdown clock. There is only one exception to that statement. You can use a countdown clock if your band is playing as soon as the clock hits zero. The situation that you want to avoid is the situation that I described above. The act of counting down from ten suggests that something big is going to happen. The youth pastor standing on the stage with a microphone is not a big enough deal to warrant a countdown clock. Can you ever use a countdown clock? Absolutely. In fact, keep reading and I’ll tell you exactly where you can use one. For the rest of the time, however, just play an energetic video from Dude Perfect or Devin Supertramp that you can find on YouTube. It will accomplish everything you need it to, without the way-too-hyped-up countdown clock. As a first-time attender to this ministry, the announcement about summer camp didn’t tell me anything. Where are they going? What will be happening? When is it? The youth pastor’s weak attempt to hype it up (“It’s going to be awesome.”) didn’t tell me anything I needed know. Nor did it make me (or anyone else in the room) want to go. When you make announcements, tell them why they should care. Show them what will be happening. Entice them. Tell them about the benefits, not just the features. Tell them what to do next to find out more. Give them a step to take in that direction. When you ask for volunteers, you alienate the students who are more laid back than others. Plus, you don’t usually get people from the back of the room because all you can see and hear are the people closest to the stage. If you think about it, though, you actually want the people from the middle to the back because they are most likely the least engaged with what you’re doing at that moment. 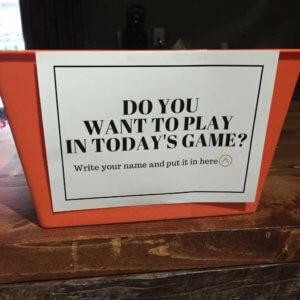 Choosing them to play the game would actually increase their level of engagement in your program…and that’s the goal for the game! How should you choose participants for your games? There are 2 ways that work really well. The first is to say, “I need 3 contestants to play this game. First, let me get an 8th-grade girl.” Because you’ve shrunk the scope of who you’re looking for, you’ll be able to find someone who wouldn’t have stood out in a general call for volunteers. Then proceed by asking for a “7th-grade guy” or whatever you need next. Before some of them sign up to play, you might need to assure them that the game isn’t messy and they won’t get embarrassed if they play. Getting messy and embarrassed are two things that students don’t like to do in a typical weekly program. Exceptions can be made for camps or retreats, but I’m talking about your weekly programs here. Then, when you’re ready to pick contestants for the game, all you need to do is pick as many names as you need out of the jar. It works like a charm! Rather than explaining the game after you’ve picked participants, he should’ve explained the game before he picked them. Why? Because if you’re not a participant, you don’t care how to play the game. You tune it out. You’re disengaged at that point. However, if the game is explained beforehand, every student will pay attention because he or she might get picked to play. That’s engaging. When the players are picked, and each contestant gets to the front of the room, the youth pastor should’ve taken a second and asked about the person. “Hey, tell everybody what school you go to. How confident are you about winning this game?” Really play it up. Create some banter and light-hearted smack-talk between the players. Increase the level of competition. That drives engagement! Also, each contestant in the game should’ve been given three bean bags to throw, not just one. With each passing throw, the crowd would’ve oohed and aahed as it slid past the hole and off the board. The crowd would’ve cheered if the beanbag landed in the hole. That’s engagement! But it didn’t happen because the whole thing felt rushed. Before the crowd could even get a look at what was happening, it was already the next person’s turn. When you transition to the next segment of your program, don’t lose the momentum you’ve created during the hosting segment. If you’ve done your job as the Host, students will be engaged and enjoying themselves. That can all come to a grinding halt if you don’t make a good handoff. What should happen while your band makes their way onto the stage? Now’s the time that you can use a countdown video! It makes sense here because when the clock gets to zero, the band will start playing at a pretty high volume. If your band isn’t up to that standard, then you should use a mixer question that gets students talking to each other. Just like a magician uses misdirection, you want to take students’ eyes away from the stage. Put the mixer question on the screen. Their eyes will look away from the stage. Tell them to tell five different people something in particular. It could be anything: the grade they made on their last math test, what they ate for breakfast, what time they woke up, what their favorite flavor of ice cream is, what they would name a pet turtle. The question doesn’t matter. The misdirection is what matters. When they’re talking to each other, they aren’t enduring the awkward silence of what’s happening on the stage. Hosting is an important part of your program. If you start well, you can keep attention and engagement throughout the whole program. If you don’t, you’ll be driving home feeling frustrated and wondering what went wrong. So, what are the things you’re going to avoid? * Don’t use a countdown clock. * Don’t make boring announcements. * Don’t ask for game volunteers. * Don’t rush through the game. * Don’t allow awkward silence. When you fix these things, your program will get better, your students will say, “Wow!,” and they’ll even start to invite their friends without you having to beg them to do it. Yes, hosting is that important.